Home renovation reality shows have inspired many homeowners to consider costly upgrades for their own homes. While many home improvement projects are worthwhile, it’s important to know which ones are worth it from an investment standpoint. Here are a few key considerations to keep in mind when you’re deciding on a renovation project. Think of your renovation project in terms of what will appeal most to potential buyers, even if you’re not considering selling anytime soon. Converting a garage into a living space or eliminating a bedroom or a closet may cause future buyers to cross your home off the list; these spaces are among the most important to potential homeowners. Many buyers won’t even look at homes that lack the right number of bedrooms, and a garage ranks as one of the most popular amenities in newly built homes. Be cautious when undertaking large-scale renovation projects. While smaller DIY touch-ups and proper home staging can yield big dividends for sellers, large projects may not always pay off. Remodeling magazine’s 2016 Cost vs. Value Report showed that replacement projects, like changing a front or garage door, offer serious gains. Which large projects pack the most punch when it comes to adding value? Two-story additions, master suite upgrades and major kitchen remodels top the list. Consider the resale market in your neighborhood before deciding on a renovation project. This is particularly important if you’re considering large-scale projects, like a full kitchen renovation or converting an attic space into an extra bedroom. 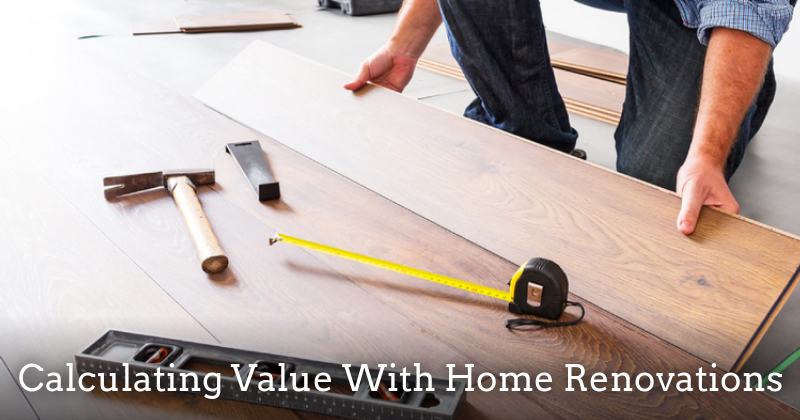 Every neighborhood has a price threshold of what buyers are willing to pay, so a $75,000 kitchen remodel may not be worth it in a neighborhood where home values top out at $200,000.